Dr Keshav Chander is board certified in Cardiology, adult echocardiography, nuclear cardiology and registered vascular technology. He is level 3 trained in echo and level 2 trained in CT angiography. His teachers and peers voted him best intern and outstanding resident during his residency in Chicago. During residency, he wrote first-of-its-kind book on medical residency training that was published by McGraw-Hill. He is sole author of this book. It is sold across the world. His colleagues voted him medical staff president in 2005. He was Adjunct Assistant Professor, Department of Medicine, University of Utah from 2001 to 2010. Health Insight has invited him to be regional champion for upcoming national JNC8 guidelines on Hypertension. Rotarians, churches, marines group have invited him for talks. Local papers and TV channels have interviewed him on medical issues. ‘ABC world News’ interviewed him for a story on use of generic drugs. He hosted a weekly radio show on health issues for nearly 10 years. 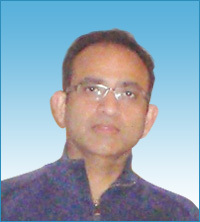 He has Facebook page, YouTube videos and a website, DrChander.com for patient education. These are all parts of his pro bono work. Recognitions: Compassionate Doctor 5 Year Honoree 2018, Patients’ Choice 5 Year Honoree 2018, 2018 Top Doctor and many more…. Dr Renu Mahajan is Board Certified Internist, Primary Care Physician. She did residency training at Alton Ochsner Medical Foundation, New Orleans. She has been in practice for 12 years. Over the years, her patients have come to her fully confident that they will get best possible care, have an attentive ear, and will be treated with dignity, respect and compassion. Recognitions: Compassionate Doctor, America’s Most Honored Professionals- Top 1% , On-Time Physician Award, Patients’ Choice. We are a mission based medical practice, located in the beautiful southwest part of Las Vegas. We are conveniently located on West Tropicana, just east of I-215 exit and just west of south Durango. We have plenty of easily accessible parking including lot of available covered parking. We are also accessible through bus route number 201.